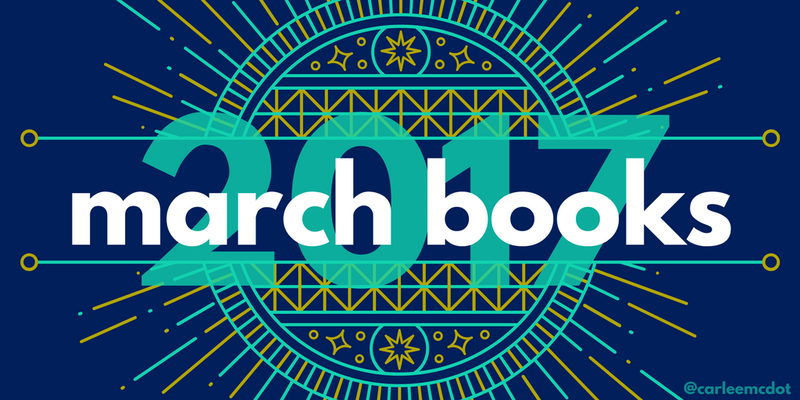 In case you missed it, I posted about the books I read in January HERE and February HERE. There were TWENTY of them in the first two months, so when I add in March's SEVENTEEN that brings the total to THIRTY-SEVEN! In case you're interested in what I read or my take on them, feel free to check out my synopsis (and how I'd rate them)! #GIRLBOSS by Sophia Amoruso - I was really hoping I would love this book (and get a ton of ways to be a kick@$$ female), but it was more of a memoir of how Sophia created Nasty Gal. Don't get me wrong, the story is definitely interesting (and it was a really quick read), but I didn't feel as though I walk away with any action steps - but maybe that is just because I am not a #GIRLBOSS... I would give this one a 5 out of 10. Hillbilly Elegy: A Memoir of a Family and Culture in Crisis by J.D. Vance - I have heard great things about this book, and I would say it didn't disappoint. The hubby actually grew up in Centerville, OH (his dad working for Proctor & Gamble) so I was interested in reading about someone who grew up with a completely different lifestyle. J.D. does a great job depicting his life. He doesn't claim to know the answers on how to fix the problems in the white working-class, but offers honest feedback of the reality that many find themselves in. I would give this one an 8 out of 10. A Man Called Ove by Fredrik Backman - Another book that came highly recommended. At first I wasn't sure if I could get over all of the talk about suicide, but eventually did. The story reminds me a little of Mr. Fredricksen from Up (in fact, in my mind I picture Ove as just a taller, buffer version of the Pixar character). The story is super sweet, with quite the cast of characters to share the feelings of both hope and despair. It will make you smile, laugh, and, yes, probably cry, but the best stories do, don't they?! I would give this one a 9 out of 10. The Magnolia Story by Chip and Joanna Gaines - Okay, let me start off by saying I LOVE THESE TWO! My mom jokes that Ryan and I are like them because Ryan is so off-the-wall like Chip and I am the one that has to reign him in and try to keep him on task. Anywho, I was STOKED to hear that they came out with a book and gobbled it up as soon as it became available for me at the library. Learning their backstory made me love them even more. I love how they put God, each other and their family first. They have been beyond blessed and they haven't taken an ounce of it for granted. They are super down-to-earth and I am thrilled to hear that fame and the spotlight hasn't changed that for them. If you like their show, "Fixer Upper", on HGTV, then this is a must read! I would give this one a 9 out of 10. A Monster Calls by Patrick Ness - A moving story about a boy who is dealing with the terminal illness of his mother. The illustrations throughout the book add to the tone and feeling of the writing. Although the book is found in the Young Adults section, it is a story that is deeply touching to anyone who gives it a read. (And apparently folks have thought it was super good because they made it into a movie... one that now I will have to watch!) I would give this one an 8 out of 10. The Five Love Languages by Gary Chapman - We actually read this book as part of a study with our growth group this semester (and finished it in March, hence why it is appearing in this list). There are definitely a ton of nuggets that the hubby and I are taking away from this book. (We both have Quality Time as our primary love language and Acts of Service as our secondary, but we definitely "speak" different dialects within the language.) Although we used this during our church Bible study (for "young marrieds"), the principles translate across faiths, relationships (marriage, friendship, familial, etc) and stage of life. I would give this one an 8 out of 10. 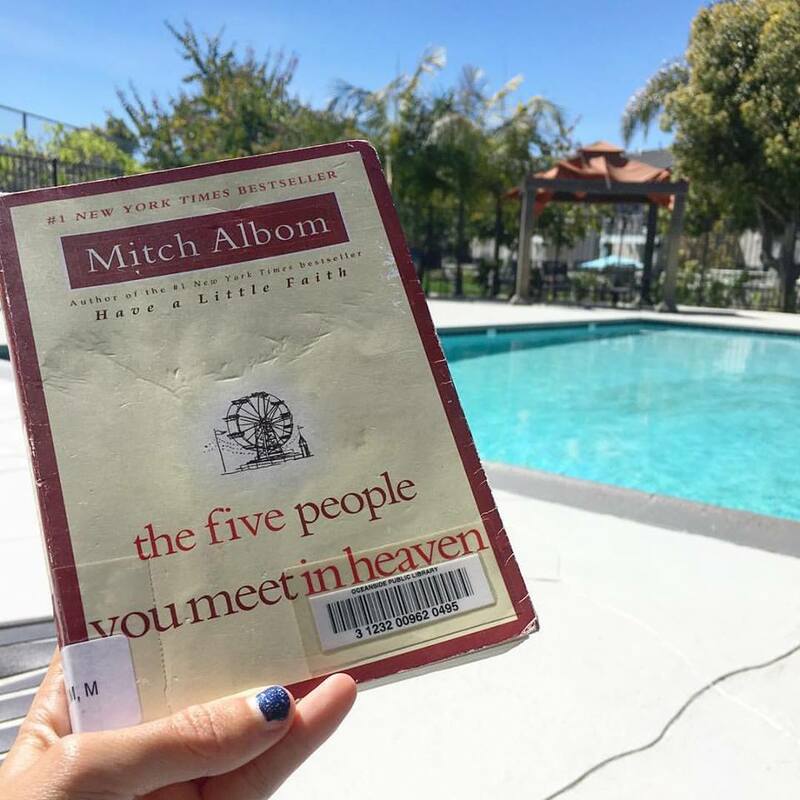 The Five People You Meet In Heaven by Mitch Albom - I read this one many years ago (Mitch Albom lives in Michigan, so I had to pick up a lot of his books when they were first released) and loved it just as much this time around. This one is a super quick read and such an interesting story. It is so fascinating to think about how everyone's lives are intertwined and how one person can impact another without even fully realizing it. "...the world is full of stories, but the stories are all one." I would give this one an 8 out of 10. The Irresistible Revolution by Shane Claiborne - Another book that I read back in the day (this is actually my copy, not one I grabbed from the library). I saw it in the closet the other day and wanted to pick it up again. I love how Shane not only talks the talk, but walks the walk. The challenge to put LOVE and OTHERS first is always one that I take to heart (although, when we are honest with ourselves we never know how great we actually measure up). Even though this is not "Bible", just teaching about the Christian life from an author, it always hits home for me. I would give this one an 8 out of 10. For One More Day by Mitch Albom - When I was in the library last week picking up a couple books I saw this one. I had read some of Mitch's other books and thought I'd grab this one. His stories are always quick reads that make you think. I love how he ties in elements of his own life into the stories he shares. I feel like I always walk away after finishing his books with a smile on my face and a resolution to live better and love deeper. I would give this one an 8 out of 10. Present Over Perfect by Shauna Niequist - I had heard such great things about this book that I was excited when I saw our library carried it. I'm not sure what I was expecting from the book, maybe some suggestions on ways to change your life, but whatever it was, it didn't come through. I felt pretty disappointed throughout the entire book. It was like the author spent the whole time saying that her life used to be hectic and always chasing movement and perfection and busyness but now she isn't. But how? Why? What tips and tricks do you want to share with the rest of us? "Make the decision to slow down." "Get a basketball hoop." "Throw candy." Again, maybe those resonated with others, but for me I walked away expecting and hoping for so much more. I would give this one a 5 out of 10. The Outsiders by S.E. Hinton - I was chatting with the hubby a few days ago and mentioning how a lot of the books you were "supposed" to read in High School I never did (thank you Cliff Notes), so I thought I'd grab a couple of the 'classics' now that I am actually reading. This was the first one and I now know why everyone says it's a classic. It's an easy read, but choked full of great insights. No matter what side of the tracks you live on, you always think the grass is greener elsewhere... but life is all about what you make of it. "Stay gold, Ponyboy." I would give this one a 9 out of 10.
small great things by Jody Picoult - This was another book recommended by a friend but I didn't know what it was about before checking it out. Let's just say I LOVED IT! I love how it was written (there were three main characters in the story and each chapter was written in first person by one of them, so it was interesting to see how they felt about certain situations). Without giving the story away, it centers around the issue of racism. I appreciate the way that the author shows that even without being a Skinhead, there is still an issue of institutional power that needs to be dealt with. It may make some of us uncomfortable, but I think it helps shine a light on a something that most "white folk" tend to ignore because THEY CAN. I would give this one a 9.5 out of 10. Big Little Lies by Liane Moriarty - Another book that was recommended to me by a friend, and another one that I couldn't put down! I didn't know what to expect when I picked up this title but I enjoyed it from start to finish. I will be honest, at the beginning it was a little difficult to keep all of the characters straight, but after a few chapters it wasn't too terrible. A little about the book - it's a murder mystery. If you know me, you know I love me some Law & Order, so this kept me engaged the entire time. I enjoyed that the novel started by mentioning a murder but you really don't even find out who dies until the last couple chapters - totally keeps you guessing (and wanting to read on). I would give this one a 9 out of 10. Have a Little Faith by Mitch Albom - Seeing as I have already read two of Mitch's books this month, might as well throw in a third, right?! I was excited to give this one a read - more of a "true story" than his other books (which are more novels that have their basics grounded in real life). This one tells about two men, one older rabbi in New Jersey and one younger pastor in Detroit, and how they both have impacted Mitch's faith. I would give this one a 7 out of 10. The Rosie Project by Graeme Simsion - I bet you're tired of me starting my recaps with "yet another book I knew nothing about", but hopefully by now you realize I take everyone's suggestions and give them a go. This is another one I hadn't heard about but found to be a great read. I guess you'd consider it a romantic comedy, where the main character, Don, sets off on a "Wife Project" (an effort to find the perfect mate with a 30 page questionnaire he created) and is sidetracked by another project. This was an easy read, but at times I was a bit uncomfortable because Don, a man with (undiagnosed) Asperger Syndrome, tends to gloss over or make light of autism. (I am no expert in the field, so maybe I was just reading a little too much into it, but I did appreciate that the author at least broached the subject.) I would give this one a 7 out of 10. The Girls by Emma Cline - This is not one that was recommended to me by a friend, but one I saw on a "Must Read from 2016" list and figured I'd grab it. It started off slow (when I was 75 pages in I actually thought I might give up on it because I was a bit bored), but it definitely draws you in. The story features a Manson-ish cult and is told from the perspective of a somewhat outsider. It actually had me thinking about how 'easy' it could be to fall into the "wrong" crowd and end up so far down a road you weren't expecting, while never really knowing how you got there in the first place. I would give this one a 6 out of 10. Tuesdays with Morrie by Mitch Albom - I figured I might as well round out March with another one of Mitch's books (and probably the last one I'll read for a while). I have read this book in the past and it is just as good this go around. It really reminds you how precious others are and what the truly important things in life are. Mitch recounts his "classes" with Morrie, after his teacher/ coach/ friend has been diagnosed with ALS and knows the end if eminent. "The way you get meaning into your life is to devote yourself to loving others, devote yourself to your community around you, and devote yourself to creating something that gives you purpose and meaning." I would give this one an 8 out of 10. And with that the month is complete. I have no idea how I was able to read 17 books in one month (the amount I was hoping to read over the entire year), and I doubt I will be able to keep up at this pace, but thus far I have been totally enjoying it. 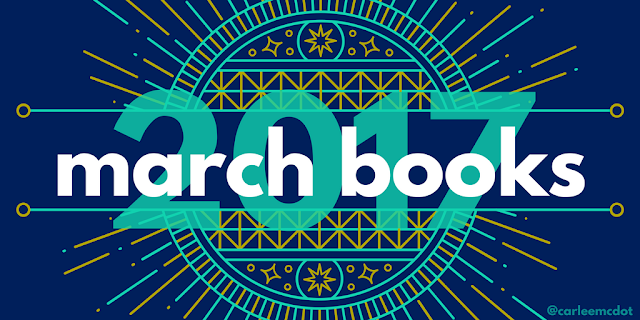 PS If you have any suggestions on books to grab, let me know! I'm always down to throw them in the queue! The Husbands Secret by Liane Moriarty is really good if you liked Big Little Lies! I'd like to read A Monster Calls. I've never read The Outsiders. Now I want to! The Five Love Languages is a good book. We quickly went over it with our Small Group. Wow girl, 17 books in one month! That is amazing. Some of those books are on my to read list! I recently really loved 'The Nightingale' by Kristin Hannah.